• You may have noticed things have certainly started to wind down on the music front for the year, but that doesn’t mean we haven’t got a little bit up our sleeve for a midweek edition of The Purge! 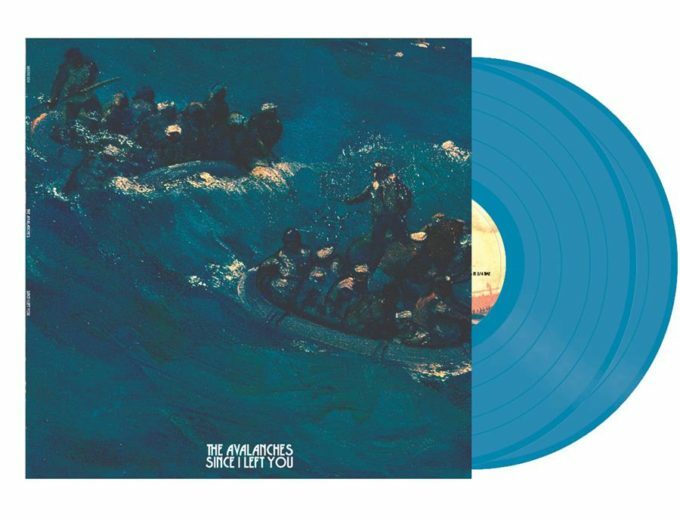 • We’re kicking your midweek serve off with news that The Avalanches will release a limited edition coloured double vinyl version of their smash breakout album ‘Since I Left You’ early in the new year. The album features all the tracks fans know and love and will be released on January 27. A deluxe vinyl edition, featuring bonus tracks, will follow in April. • Elton John and his long time writing partner Bernie Taupin have revealed ‘The Cut’, a unique opportunity for budding video makers to create the official music videos for three of Elton’s most iconic songs; ‘Bennie And The Jets’, ‘Tiny Dancer’ and ‘Rocket Man’. “We’re excited to partner with YouTube to bring together generations of artists and music lovers around a shared passion for storytelling,” Elton says of the project. “YouTube is a rich tapestry of creativity and I can’t wait to see how the breadth of talent from the dance, live-action and animation communities applies their vision to these cherished songs.” The competition is open ’til January 23. Find out all you need to know HERE. • Kid Cudi’s album ‘Passion, Pain & Demon Slayin’ will drop from this Friday. Comprising 18 tracks over four “acts” and with guest appearances from the likes of Pharrell Williams, Travis Scott and even Willow Smith, the album will be made available this Friday in the digital format, before the physical edition follows on Friday December 23. • Melbourne native Clairy Browne will kick off the new year in fine style; with six live shows locked into her diary, including an appearance at the Grampians Music Fesitval in Halls Gap in Victoria. She kicks things off at The Night Cat in Melbourne on January 25 before appearing at the Black Bear Lodge in Brisbane (January 27), NightQuarter on the Gold Coast (January 28), Oxford Art Factory in Sydney (February 17) and the Garden Of Unearthly Delights in Adelaide on February 21. Tickets are on sale now. • Sydney’s Celebrating David Bowie Concert has been so well received by punters snapping up tickets that organisers have added a second and final date at the Opera House – on Monday January 30. Key Bowie musicians will share the stage with some of Australia’s most beloved vocalists, including Bernard Fanning, Sarah Blasko and Paul Dempsey for the one-off events. Tickets are on sale now. • Iconic ’60s British outfit The Animals, who brought us hits like ‘Don’t Let Me Be Misunderstood’, ‘We’ve Gotta Get Out Of This Place’ and the classic ‘House Of The Rising Sun’, will tour Australia in May. The tour sticks predominantly to the East Coast, kicking off on the Gold Coast on May 06 and venturing as far west at The Gov in Adelaide a week later. Pre-sale for the dozen shows kicks off at 9am today, with general public tickets on sale from 9am local time on Friday.